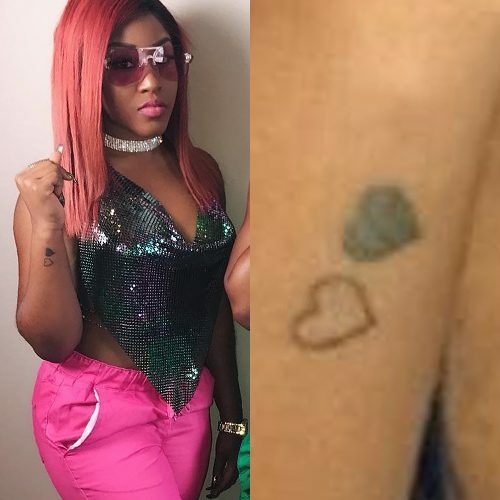 Daysha Taylor has a tattoo on her right wrist of two hearts matching the one her sister Ti has. 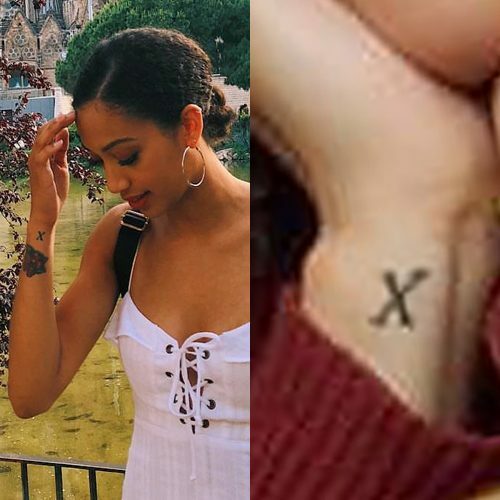 Samantha Logan has a “X” tattoo on her right wrist. 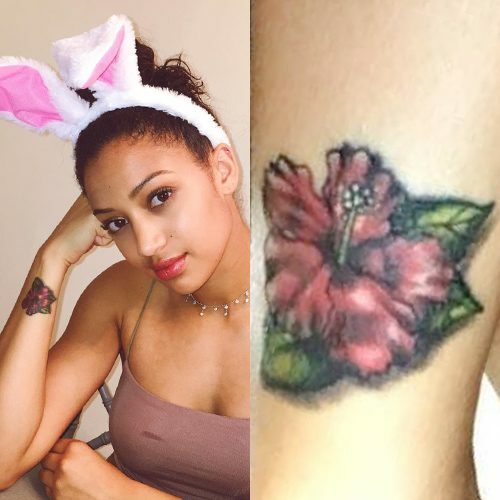 Samantha Logan has a hibiscus flower tattoo on her right wrist. 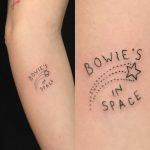 “I’m scared to do it here [on my wrist] because it everybody says it hurts, but I want to do it here,” she told the artist, who assured her that she could handle it. 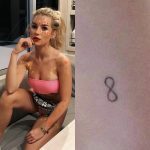 Having learned her lesson from the tattoo on her arm, which she initially wanted on her neck and has regretted changing her mind on, she was willing to endure the pain in order to get the tattoo on in the spot where she most wanted it. It hurt a lot though! 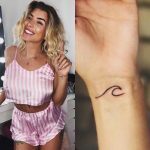 In a video which she livestreamed on her instagram, she can be heard crying out in pain. It was so bad that she had to stop midway through and numb the area. 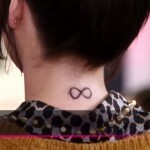 When it was finally done, she complained to artist Ryan that he hadn’t properly warned her how much it would hurt. But he was looking out for her interests and didn’t want her to back down because he knew that she wanted it to be on the wrist. And in the end she was happy with the results. 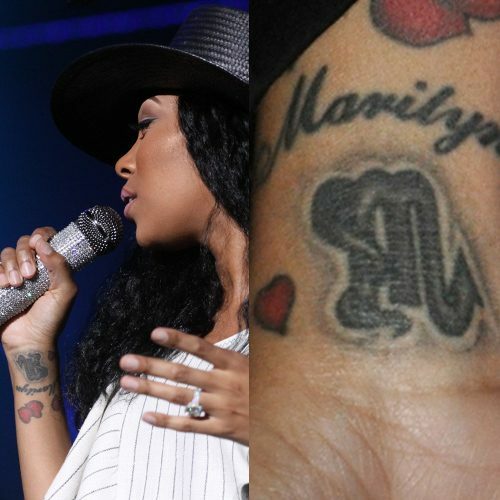 Monica Brown has her mother’s name “Marilyn” tattooed on her right wrist. Kelis has a tattoo on her right wrist saying “Musicum Nuntius Deus”. 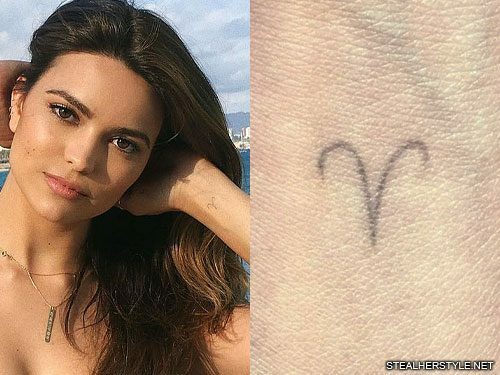 Her tattoo is a Latin phrase which translates as “God’s musical messenger”, not her name as some people mistakenly believe! Her father is a minister and she takes her faith very seriously, she has said in many interviws that she considers her voice a gift from God! 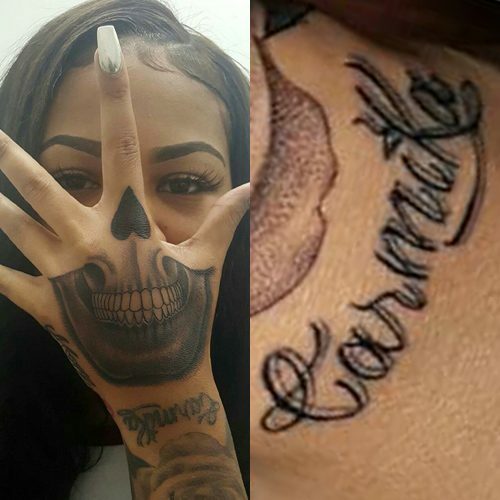 The tattoo uses a simple cursive font designed to look like handwritting. 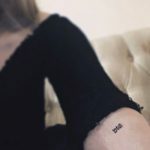 Brenda Song has a symbol tattooo on her left wrist. 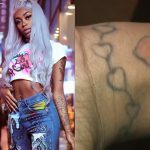 Molly Brazy has her mom’s name Carmika tattooed on her wrist. 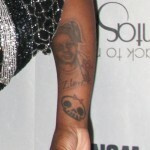 Kelis has a flower tattoo on her left wrist.